« What Influenced Your Blogging Platform Choice? I update this post from year to year with new research and tips. 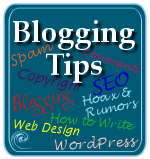 See below for more current updates, and also read When is the Best Time and Day to Publish a Blog Post published in 2008 with more information you need to know on how to decide when is the best time to publish. As of 2006: For the past year, I’ve been keeping an informal score card of the traffic schedule on my blogs. I have also been searching for a report, investigation, study, and research on when is the best time and day of the week to post on your blog. I’ve come up empty, so if you know of one, please post a link in the comments below. Researching the best time and day for posting to your blog comes with a lot of things to consider. Here are some points to think about before I get to my informal study. It isn’t about when you post, it’s about when the most people visit your blog. You want new content released before they arrive. There are two levels of “traffic” to consider when examining best times and days: 1) blog reading traffic and 2) comments. They could be the same or they could be different. Understanding when is the best time of day to post, you can better time the release of new material. Understanding which day of the week your traffic levels will be the highest helps you target the release of your most “powerful or poignant” content. Societal and cultural calendars impact traffic levels associated with the work days and time habits of your specific audience. In the US, Monday is the first work day of the week, but in some countries, it’s Sunday. Some countries take long breaks in the middle of their day, like a siesta, which may mean more or less traffic depending upon the society’s Internet habits during that break. Other regions start work very early in the morning and close early. Others get moving and active around 9 or 10 in the morning but stay open until 9 or 10 at night. If you write for a specific society, culture, or community, learn the ebbs and flows of their schedules and preferences their online time and habits. Traffic spikes due to listing on Digg, Slashdot, Wired, or other popular traffic-driving sites or social bookmarking services don’t count. They skew everything. With these things in mind, I can only talk about generalizations and the information I’ve gathered from my informal monitoring of my various blog stats. I have several blogs on various and diverse topics, so you would expect their traffic patterns to be different. They were not. They were fairly consistent across all of the blogs. This is what I learned. The highest traffic in a month comes in the first and third weeks of a month, with more hits during the end half of a month. The highest traffic days of the week are Monday, Tuesday, Wednesday, and Saturday. The highest traffic in an average day comes during 0800 – 1400 PST (1600 – 2200 GMT). Most comments are posted between 0900 – 1400 PST (1600 – 2200 GMT). People are more likely to comment on a post on Monday, Tuesday, and Wednesday. I’ve included here some screenshots of one of my blog’s traffic report charts. They reflect the average of what I found to hold true on my blogs’ traffic patterns. Understanding that the majority of my readers on all my blogs are English speakers, and based in the United States, Europe, India, and Australia, this is what this information tells me. If I want to get the most attention for a specific post in line with my blogs traffic patterns and hit the most readers at one time, increasing the probability that someone will add/submit my article to Digg, del.icio.us, or other social bookmarking services, I post it in the third or first week of the month early in the week on a Monday or Tuesday before 8AM (1300 GMT). This has played out over and over again on this blog in particular. If I make a fabulous post within that time frame, traffic levels rise and I notice a lot more incoming links and trackbacks, links from people who are writing about or linking to what I’ve written. If I post a similar article, just as fabulous, during the off-times, the traffic levels stay the same and there are no traffic surprises in incoming links or trackback levels. That is until the next spike time in traffic, and then those “older” posts begin to pick up more traffic right alongside the new posts posted during the heavier traffic times, but they rarely get “spike traffic” attention like the other posts. The micro-ecosystem of my blogs traffic levels tell me that the best times to post are in the very early morning hours, about 3-5AM EST (7-9 GMT), and make my best posts on Sunday, Monday, and Tuesday to get coverage for those visiting my blogs on Monday, Tuesday, and Wednesday. Since over 90% of all the posts I publish are future posts (I like to work ahead a lot because I travel so much), I will set the Post Timestamp to the date I want it released, and quickly change whatever the time is to a time pre-dawn that day. Since Saturday is a spike day in traffic, this is when I assume that the people who aren’t on the Internet much during the week get their day on the Net for the whole week, so I don’t target them much, since they are playing catch up. I’ve posted a number of posts on a single day randomly during the past two years and found that the number of posts per day does not influence traffic levels. They also stay consistent on average no matter if I’m posting one post on Monday and six posts on Thursday. I don’t let this information completely rule my blog’s production. 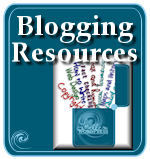 If there is news out there you need to know about WordPress and blogging, then I’ll post as many posts as it takes to help you understand what is happening. Still, working with this information, I can fit it into my normal schedule and plan my posts accordingly to take advantage of my traffic levels. Comments are a little different to figure out. If I get most of my comments during the first three days of the week, I don’t need to focus on those days. If I want to encourage more comments on my blog, I need to hit harder to encourage comments on the off-days since the on-days are the times when people are more likely to comment. So the question is when do you read blogs? When do you comment? Does your blog reading time match my research? If it differs, how? Have you seen blog reading and traffic survey studies? What do they say? Do they match mine? It has been a year since I wrote this and my personal research has remained constant. For my international audience blogs, the highest traffic remains on Monday, Tuesday, and Wednesday, dropping as it moves through the week. Saturday offers a little bit of a boost as people play catch up I think. In general, most blogs are read in the morning, and the most comments in a day arrive in the mornings on my blogs. Blog comments are highest on Mondays and Tuesdays, too. While there is a spike in visits on Saturdays, there are very few comments. Posts that become popular, caught by Digg and other social site submission services and sites, begin the uphill climb on Mondays and Tuesdays, so posting your “best posts” on Mondays and Tuesdays is a good idea. If a good point is picked up by one of these services, the traffic runs highest on Monday and Tuesday, no matter when you published it. The key continues to be have your content waiting when your readers arrive. You would think things would change as the blogosphere develops and more and more people get online, figuring out how this all works, but the stats still prove my original premise. This premise holds up across the many blogs I monitor now. The majority of traffic remains on Monday and Tuesday, and it rises or starts falling on Wednesday, with Thursday and Friday slow, and the weekend hit and miss. The trend stays the same across large periods of time, with and without the irregular traffic spikes out of the mix. Posts published Wednesday through Sunday see an increase in traffic Sunday through Tuesday, if the topic is of interest to the majority of my readers. I’ve noticed that topics I post that are of the most value to my readers, especially on this blog with WordPress news and tips, get a lot of traffic individually within the first two to three days of publishing no matter when I publish them. They get the most traffic if released on Sunday night, Monday, or Tuesday, but will also spike if published on any other day, then the traffic will fall off back to normal within two to three days. As to the best time to publish, since WordPress.com doesn’t track that information, my other blogs tells me that my original information continues to be correct. I need to publish my blog posts two to three hours before the majority of the East Coast of the United States awakes for coverage within the United States. Outside the country, about the same time period seems to work, though that’s difficult to track. Lunch hours across North America are often the highest traffic times for most of my blogs on various topics. Blog comments are also the highest on Monday and Tuesday, though some topics attract comments more on weekends than others. Many of my blogs get no legitimate comments on Thursdays, Fridays, and Sundays on a regular basis. Comment spam numbers are also interesting. 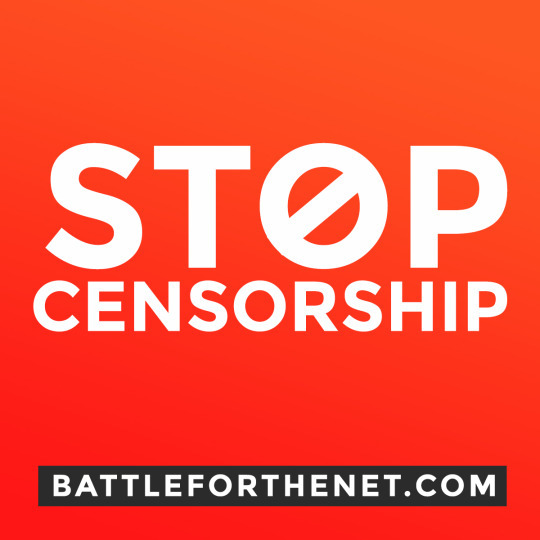 It’s difficult to track them since so many are now caught by Akismet, but Sunday, Monday, and Tuesday are when the most slip through the Akismet net. I don’t have any proof to back it up yet, but that could be when they change the code to encourage slipping through the comment spam filters, which are quickly beat back as everyone marks the comment spam as spam and Akismet learns to recognize them by the end of the week. It appears fairly consistent that the best day to publish continues to be Sunday night through Tuesday night, if you want to catch the most traffic to your blog on those days. However, newsworthy subjects are always of interest to your readers, no matter which day you publish. This continues to be one of my most popular posts, so it deserves some updating to fill you in with my research since it was first published in 2006. When is the best time and day to publish a post on your blog? Nothing has changed in the four years since I published this post. The answer is: Before your readers show up. Let’s apply this to current day blogging and social networking. The old theory that you need to publish every day doesn’t work any more. Nor does a lot of the other myths about publishing dates. With all the various methods out there to drive traffic to your site through social networks, alerting people through their telephones where their lives are rarely disconnected from the web, the idea of when is getting diluted. Do the conclusions reached over my search since 1999 on traffic patterns still hold? They did for the first eight years, but things are changing. The tools you need for testing your publishing times and days for yourself include any web analytics software or program. I recommend Woopra, Google Analytics, and/or the WordPress.com Stats Plugin, or something similar. Use a combination of analytics programs to get a complete picture of your blog’s statistics as each tracks differently. Look across the stats day by day studying each day’s hours of traffic looking for peaks throughout each day. If the analytics program can do it, look for a calendar feature that compares day to day, week to week, month to month, as well as hour to hour traffic to look for patterns. Look for consistently appearing patterns across the day, week, and month, such as higher levels of traffic on Monday and Tuesday with lower levels towards the end of the week, or high traffic consistently near the 15th of the month across years of data. If your analytics offers filters or segmentation to automatically analyze high peak time periods, use them. Apply them across the various time periods to find the patterns. Woopra offers a calendar feature that showcases your daily traffic patterns. At the top is a summary of the days within the month, showing you clearly what your traffic patterns are for every day of the week. Along the left side is a summary of each week with the week number, giving you another perspective on your traffic. In this chart shown, for this site the afternoons have the highest traffic with less traffic in the mornings. 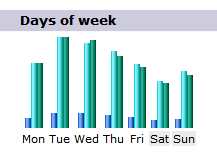 Slow days are Sunday, Thursday, and Saturday with Wednesday as the highest traffic day of the week. This chart just shows one month, but quickly scrolling through the months, I see the patterns remain the same. Planning an editorial calendar for this site, I’d recommend publishing no later than 10:00 AM and scheduling my “best” content for Tuesday afternoon to take advantage of the rise in traffic Tuesday night through Thursday. As I researched this site, I also found that the last week of each month was a generally slow traffic time, so I suggested that they either do something to spice things up or just acknowledge the slow week in the month. The more you study your own stats, the more you learn about your visitors and when to worry and not worry about traffic showing up, as well as when to publish posts on your blog. Here are some things to take into consideration as you look for patterns and traffic triggers. Consider Feed Subscribers: If you have a high number of feed subscribers, when do they “stop by” on your site? Research referrer traffic for your site to find traffic patterns related to feed subscribers and learn to publishing before the most of them arrive. Multimedia Subscribers/Referrers: If you have a video channel onsite or off, are you keeping to a specific pattern or releasing when you feel like it? If you are keeping to a specific schedule for releases, then ensure related or matching content is on your blog to greet visitors coming from those sites back to “meet you.” If you are releasing randomly, compare your referral traffic from those sites to your releases and regular referral traffic to find a pattern in that data. Again, release content before they show up if you wish to greet them with new content. Tweets, Facebooking, and Social Webbing: Examine your stats to match times of announcements and link posts on social media platforms to find patterns in your social networking traffic. Are they responding within a few moments of your announcement on Twitter, Facebook, StumbleUpon, or other sites, or are they showing up later? When? What drives them from those sites to your blog? Can you find any pattern in traffic from those social network referrers? By learning their “social” habits, you can adjust your publishing accordingly. Newsletters and Emails: A strong traffic driver for many bloggers are newsletters and email announcements. Part of timing the release of these should include studying your site’s traffic patterns and taking advantage of the natural tendency for people to visit your site at specific times. Those are often the times they are checking emails, so it’s a natural conclusion that this is a good time to catch their attention. Check your referrer traffic for emails or your newsletter publishing system’s statistics to evaluate the traffic patterns. Check those against the natural visitor patterns and see how closely they match. Use your best judgement and test your conclusions to find a key time to release the newsletter and new content on your site to maximize the traffic’s flow. If you promise, they will show up: Time and time again my research has proven that if you announce you will have a post on a specific day, people will show up. WordPress Wednesday means you publish on Wednesday, not Monday or Friday. People notice if you miss Wednesday, though they tend to forgive you if it’s Thursday, but not if it’s Saturday. If you have a regularly scheduled podcast or videocast on Tuesdays, they will show up waiting for it. Keep your promises. There are now many ways to drive traffic to your site. By studying each referrer, you can learn more about the users and their traffic patterns. Think of these services as funnels, directing visitors to your site. Each social networking and publishing platform has their own ebbs and flows in traffic patterns, and there are micro patterns within the various groups. Study all the information you can find to evaluate when the best time to publish and direct traffic to your site accordingly. My results may not meet your results. My research may not match your research – and do the research. Don’t take my word for it. It’s your audience, your traffic, and your blog. 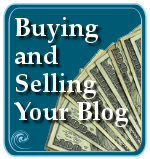 Don’t assume that my numbers and claims on when is the best time and day to publish posts on your blog will match yours. I have published for many years across many types of blogs and my findings remain fairly consistent, but test the theories yourself to find your own site’s unique patterns. However, my research continues to hold. Unless it is a timely and much publicized post, the natural traffic patterns across the multiple of blogs I work on and maintain continues to show that publishing prior to 6:00 AM EST on Mondays, Tuesdays, and Wednesdays attracts the most traffic. Posts published on other times and days of the week get less traffic on those days, though traffic for those published posts rise the beginning of the following week as the readers check in with the blog on Mondays, Tuesdays, and Wednesdays. Do I think about this before I hit the publish button? If I really want a lot of energy and noise around something I’m publishing or producing, I time the announcement accordingly to meet the maximum traffic with the highest exposure and word-of-mouth broadcasting as the first of the week tends to also be high traffic on social networking sites. Otherwise, honestly, I don’t give this a thought. It’s more important to get the content out than it is to mess around with all the research and numbers. Monitoring this stuff is hard work and can be time consuming. I save it for once or twice a year to see if the stats hold true, then get on with the blogging. I hope you do, too. UPDATE December 2010: When’s the Best Time to Publish Blog Posts? on ProBlogger by HubSpot’s social media scientist, Dan Zarrella, looks at more reliable statistics to help answer the question. The new research looks at modern social media communication and marketing distribution to drive traffic and other data. For the most part, blog reading stats match my own ongoing research. While traffic can arrive at any time, especially when inspired by social media marketing strategies, but when you boil it down to return readers, publish your content before your readers show up, ready to read, whenever that is. This entry was written by Lorelle VanFossen and posted on June 15, 2006 at 3:20 am and filed under blogging tips, Writing with tags best day to publish posts, best time and day to post on your blog, best time to publish posts, blog publishing, blog writing, editorial calendar, how often should I post on my blog, how often should I publish on my blog, how to blog, publishing dates, publishing times, when is the best time to publish. Bookmark the permalink. Follow any comments here with the RSS feed for this post. Post a comment or leave a trackback: Trackback URL. Wohow! Impressive post. I just glance at the WP stats once in a while but have never really paid much attention to the details. Where do you get all these stats! I might read up on blog stats some more – it’s fascinating stuff – but with the nature of my blog (which is, um, erratic?) I don’t think it would matter much to me personally. This was a fascinating post — I was curious about others’ stats, since I’ve been tracking mine pretty carefully from what’s available through WordPress’ interface. I haven’t tracked this down to the time level, but have watched it by day, and I always have a drop on the weekends, which probably makes sense. I have a pretty spiky graph — I go up to peaks, then down a bit, then continue up. The good news is that I’m trending upward, no matter what. Even if I drop down, each week, I’m seeing a peak that’s higher than any of the other peaks as of yet. As far as reading goes, I use Bloglines and go in and check out new posts as many times a day as I can. I comment at random throughout the day. However, I usually go in and answer comments on my own blog twice a day: once in the evening, and once in the very early morning. I write my posts ahead, most of the time, and generally set them up to go live between 5 and 6 a.m. US Central Time. Thanks for all the info, and I’m looking forward to seeing the other comments. I’d love to hear your answer to Napfisk’s question, too! I track the stats on WordPress.com much like everyone else. I also track the stats on my full version WordPress sites using the server’s statistic reports, which usually use Webalizer or AWStats. As for Napfisk’s specific question about whether or not this post changes my statistics on traffic or comments – we’ll have to wait and see what happens. 😉 One comment doesn’t make a statistic. Hee hee. I’m a night owl, so this isn’t a problem, but I’ve found that my best time for posting is midnight to 1am, Central time. It hits all my peak times for the upcoming day, both comment and visitor, and it truly gives users the “feel” of a daily journal entry. For me personally, this has worked well. What an awesome post. While I tend to read blogs throughout the day, I’m more likely to comment early morning or late afternoon (hmmm it’s 3pm here so I guess this post is consistent with that statement) and then sometimes late night. I have found that Thursday’s are a horrible traffic day on my blog. I promised myself that I’m not even going to look at stats on Thursday anymore – it’s too depressing. Monday and Tuesday are the best for me, Wednesday and Friday both come in as second best. Weekends are slow. But – that’s just my blog. Weekends are pretty dead for me unless I generate traffic. Wednesdays have been good for no apparent reason. I stretch my weekend posts out so that somewhere I get a day off but I don’t hardly feel it. This was a great read for me and thanks for sharing your observations. I’ve been wondering about this for a while trying to decipher traffic patterns on my guitar blog. Generally, I’m seeing similar patterns in terms of traffic with the exception of the weekend. I’m not sure how to account for this but my lowest traffic day is Saturday with a significant jump back up on Sundays. It looks like Sunday is “catch up” day for my readers. Thanks again for the insight! The increase in Sunday may be because your blog attracts an audience that has time to play on the Internet on Sunday, or Israelis or others who start their work week on Sunday. What do you do on your first day back at work? Catch up on your blog reading, of course. 😉 Which is why Monday and Tuesday continue to spike high within most countries whose work week starts on Monday. Do you find more readers or more readers and commenters on Sunday? My viewing times are usually from 4-6 p.m. (Central) because I get home from work or class at that time, and I’m checking out what’s been happening for the day. I usually look through a lot of stuff at that time, and don’t comment. From 10 p.m.-12 a.m. I usually leave comments, although tonight my schedule is a bit off. Those times are during the week. On Saturday, I’m reading and commenting at different times during the day. I usually pop in and out between whatever else I’m doing. It was interesting to read the stats and post info in your article. Thanks. I’m a new blogger and notice I get the most traffice during the week and on Saturday. I’ll have to continue gathering my detailed logs to figure out the pattern for my blog, but this is helpful. Thank you. It does and it doesn’t. If your blog post doesn’t deserve or need comments, you won’t get any. There are a lot of reasons why people comment, and why they don’t. And time is one of those things. I tend to only post once a week so I have become used to doing so on Sunday night. My reasoning here is that Monday is the big day and that is when I want the new content to be seen. By the way, posting only one (but high quality) article each week has been working out great for my blog. Lorelle, you have a great research piece here. One curiosity I have is whether you have also tracked country sources. Some countries do not speak English, but have many English speakers. Also, I have been thinking of having a translator plugin that mirrors my blog into several languages on mirror blogs, but the same content. That way, one reaches a much more diverse readership. I like your blog! thumbs up! Unfortunately, WordPress.com doesn’t yet track visitor country sources, but through other resources, yes, I have and I have a lot of visitors from non-English speaking countries. 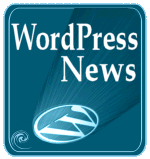 A translation Plugin is good, but do get a good one and get the latest version with the latest upgrade of WordPress. Older versions have a record of database problems. Do have plenty of bandwidth and database access as translation Plugins use them a lot. I believe it is absolutely critical that we make all the web break the translation barrier. 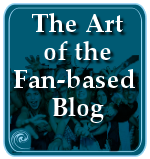 Doing it on our blogs is a first step. Making it happen across the web will have to happen in the browser. It’s my dream. Lorelle, this was an outstanding article. I’m new to blogging (one week and counting) and I just searched google for “best time to publish blog content” and your site was the first to pop up. I’ve learned so much in one week but this article is so germaine to get your blog read and it’s a topic many probably don’t consider. I wish I would have read it this morning and then I would have held off on today’s post 🙂 Another lesson learned. Again, thanks. Thanks for a fantastic article! Yes, I have noticed similar traffic patterns. As far as time, I generally schedule posts for 6am EST. I like to get new content out there in time for readers. Your times zone conversion is not correct from PST to GMT. PST is -8 GMT. Are your PST times correct? Or your GMT times? -The highest traffic in an average day comes during 0800 – 1400 PST (1300 – 1800 GMT). -Most comments are posted between 0900 – 1400 PST (1400 – 1800 GMT). Glad you caught that. When I wrote it, I was in another time zone and wrote PST by habit but went by that time zone. Yes, it is -8, save for daylight savings time. I’ll fix it. Thanks. As stated in the original article, it depends upon your audience. For a long time, Sunday and Mondays were my biggest traffic – then I realized that my Israeli friends were reading my blog stories of my life living in Israel. Sunday is the first day of the work week. For those whose readership serves a farming or agricultural community, their readership reading times are different than those who live in big cities and spend the first few hours of their work week catching up on Internet reading. Came across this posting on Google while searching for the answer to pinging. All of your information is much appreciated on the subject. I suspect that pinging after midnight might be best during the weekdays for morning exposure, but have not been tracking results religiously and have not gone after blogging full force yet. Great information. I like to post in the morning–a good clever morning cartoon is my audience—I guess you need to suit your timing to your blog type. Interesting… I came here right after going here, Read Write Web, and they had some very different results. It probably has to do with difference in audience. But this is good stuff to know since I’ve been posting at random times till now. Thanks! this is very helpful. I can’t believe you recorded all of this info. It’s weird for me cause i seem to get most of my traffic after work hours – but i definitely see a spike Mon-Wed. Great stuff here! The only danger I see with this is we are all now going to spend all our time checking for trends in our stats rather than posting anything on our blogs. But I am glad you spent the time checking yours as it made for an interesting read. It’s critical that we check our web analytics, trends, and traffic from time to time. It’s not about living on your stats but fine tuning your content to meet your target audience. If you aren’t meeting your audience needs, you are wasting everyone’s time, including yours. If you are serious about what you are doing, then understanding the numbers helps you do it better. I gathered up stats and numbers over several years time across several blogs for this article in a couple hours. The ability to gather the information wasn’t as easy as it is now. The analysis took only a short time to do in a spreadsheet. This isn’t rocket science. I double check the numbers once a year and the results for my sites has stayed consistent – and trust me, it’s much easier to do now with the amazing web analytics programs available now. It’s only a few minutes and I get the answer. The benefit for the few minutes to check these things is years of producing quality, targeted, and needed content released at a time when visitors are ready for new content. The rest of the time, they find it when they need it. I’d say that was worth every second. Have there been any changes since 2009? Do you only post once per day? I try to post new content twice a day during the week. It looks like I should try to post on Sunday as well. None of this is written in stone and none of this is a requirement for posting. The key is to publish your posts BEFORE your visitors show up. When do they show up? Is it by a specific day and time, or maybe right after you tweet that you’ve published a new post. You decide. It’s your site. I don’t think much about when as much as I have to get something published to meet a need. You choose which way you want to go from there. Just be there for your readers. It seems to be there are tradeoffs to consider. If I post during times of peak interest, then I get more eyeballs, however, everyone else on the same band-wagon are competing with me for those increased eyeballs. If I post during other times, I might get better attention even though it will be in front of fewer eyeballs. As the article points out, there are social media networking sites from which I also get traffic, so there is more to consider than just the timing of blog posts. Timing is also important as to the best time to update my Delicious links and my Facebook fan page. Graphic signatures like this are unwanted clutter in emails, so I wouldn’t bother, but if you do, check with your email service on how to add a graphic to your emails. Just don’t send one to me as they add unnecessary bulk and unwanted files in emails – a feeling many people have. Trust me, it’s not cool. It’s a nuisance. Also, NEVER – do I have to repeat myself – NEVER put your email address in blog comments. It exposes your email to security risks and I’m sure you would not want the results flooding your inbox. I’ll check out that other link you provided at the end of the post but wanted to say “thanks” for this info before I move on to the next page.I appreciate any input since I’m relatively new to the serious blogging world. Doesn’t this become a self-fulfilling prophecy? You post on the days you’ve noticed you get the most traffic, so you will keep getting more posts on those days because that is when you are posting the content? In the research I’ve done on this subject, as noted in the article’s historical references, I paid no attention prior to studying this to when I published, I just tracked traffic. I’ve continued forward publishing when news and articles are ready or newsworthy, and work with many sites with a wide variety of publishing habits. Across these sites and the years, the “right” days to publish have not changed, no matter when content is published. Traffic flows when it flows. If you rule out all the special events and topical newsworthy posts, the results of my studies stay the same. I’ve also compared the ebb and flow of traffic across the web in general. Mondays through Wednesdays are the highest traffic days on the web in the United States, fairly consistently. Yes, you can train your audience accordingly, so they show up when they expect to see content, which is the point of all this research. And while this is important to study and know, it does not impact when I publish personally. I don’t hold things back so they are released in accordance with this information. It’s just information, you choose to do with it what you will. Thanks for the article and the response. I asked because in my case, that’s how it turned out. I seem to get the most traffic on weekends, but I also cover local bands and the scene is most active on weekends. I’m going to have to monitor my traffic more closely. LOL! You just proved my points. If your audience is most active on weekends, then make sure you have content waiting for them when they arrive. It doesn’t matter if this information matches my research or the research of others. This information tells you that if you want to serve your audience better, then have the content there for them before they get there. Publishing information about an event on Tuesday on Monday won’t help those who plan their week on Thursdays or Fridays. If your content is timely, be on time for when your readers arrive. If your content isn’t timely, then don’t worry about it. It will still be there no matter when they arrive. Recently I posted a piece that took my highest number of views from 58 to 160 in one day. I planned on posting a new piece two days later. This was a bad idea. The day after my greatest number of traffic I had 60 visitors. I should have posted a new piece probably atleast 2 days in a row. The post that was a huge success was an interview I did with someone and they brought a lot of traffice by tweeting and facebooking on the article. I plan to do another interview in a few weeks and I will try posting the next two days to see how the traffice patterns continue. When I did post again the two days later, the traffic was very low. Honestly, it wouldn’t matter if you had posted something new two seconds or two weeks later. They weren’t looking at the new stuff, they were looking for what they were pointed to. They looked, and left. Custom landing pages, tricks in writing the post, author incentives, and other tricks are the only way you “might” encourage them to hang around or come back, but most spikes come and go, and maybe less than 1 percent return. Your challenge is to keep the 1% or turn it into three to five. I must say this is clear, concise very well done post. I actually feel enlightening! Thank you! The Saturday spike is something I only recently noticed. I think I need to take advantage of it somehow. I like to post at 1-3 am. Then i check it at about 9am. to see if someone made a comment. This is very useful advice! Aside from weekends, I learned that people tend to read blogs at the end of the day, a time after they have check their emails, Facebook, etc. to surf the net for certain topics they are interested. Blogging is a very important social media platform, especially when it comes to advertising, a trick I learned from Majon.net. Majon International taught me how to utilize the web in a manner that would direct traffic to my blog. Not sure how long you’ve had your site, so check in over time. It took years before I saw the trend and had consistent enough visitors to determine my moment to hit the publish button, so to speak. Check this over time, checking in with the geo-locations of the majority of your visitors, if you wish to publish content before your visitors arrive. Thanks. Great Post!! I have found another related article on Facebook and Twitter updates. Good point, but it depends upon the type of site you have. Few people see a spike on Thursday or Fridays unless their site is associated with information related to weekend activities, for regions that have such activities and events. Every region is different. In Muslim areas, their “weekend” is Friday and Saturday, as it is for many Jewish communities. 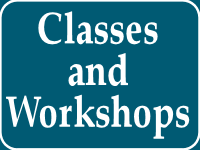 For hair stylists, They get Sunday and Monday off, or Monday and Tuesday, so sites dealing with topics associated with their industry see different spikes accordingly. It’s a fascinating study. LOL! Thank you. Luckily, I write fairly timeless content. sually schedule my posts for 8:30 am Pacific Time which gives me time for one last read in the morning before they head off into the blogosphere. Is it a good idea to post late on a Friday afternoon? It depends on your audience and when they arrive, as stated in the article.